Label & ribbon supplies can be a key factor in the success or failure of your labeling application. Because of our experience with automated labeling equipment, FOX IV’s Label Division has the knowledge and expertise to provide the best supplies for your labeling application. From primary labeling to shipping containers, our label division is able offer a wide range of label stocks, sizes and colors. In addition to blank label thermal and thermal transfer stocks for label printers and printer-applicators, FOX IV can supply pre-printed labels using Flexographic or Digital printing processes and specialty labels with laminations, special adhesives, and more. Pre-printed bar code labels are also available utilizing either the flexo or electronic printing processes in large or short runs. 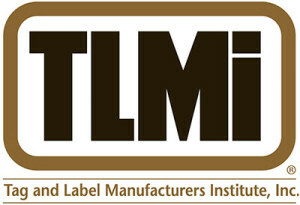 Labels are supplied in rolls, sheets or fan-folded form. Another key supply for labeling printing is often the thermal transfer ribbon. FOX IV sources and supplies the highest quality thermal transfer ribbons for use in label printers, printer-applicators and thermal transfer printers. Available in a variety of widths, lengths, colors, and formations, we can determine the best thermal transfer ribbon to match your application.